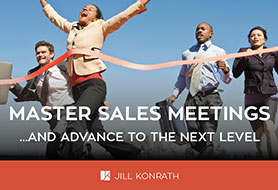 Top sellers know the first sales meeting is a make-or-break situation for them. If they do well, they’re given an opportunity to advance the sales process. If they don’t, they’re shoved out the door as quickly as possible. This ebook walks you through the 5 steps necessary to pass the first test with important accounts. Through this process you'll showcase your professionalism, leadership, and ability to help them accomplish their business goals. You'll also get a Sales Meeting Worksheet to help plan the meeting and ensure you stay on message. Get the eBook & Worksheet today!